Free shipping to the lower 48 United States for these school tables. 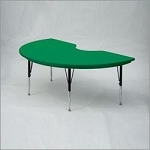 The water and scratch resistant classroom desk has a wonderful finishing to make it durable. 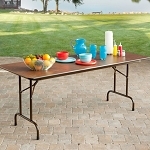 It features melamine tops on 1.13" high density particle board core and steel modesty panels with 1 wire management hole. 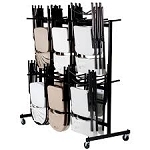 And the desk height work station has sturdy all steel frame with adjustable nylon glides. Q: How high is the lower wood hanging off the ground? would it hit your knees if you have long legs? A: It's a modesty panel and most people's needs do not touch it. You would have to have not only longlegs, but you would need to be scooted all the way in in an unnatural manner. Shipping on In Stock Items: Orders for the Correll CS3048 generally leave the warehouse within 1-2 business days. Dimensions: 49" x 31" x 5"